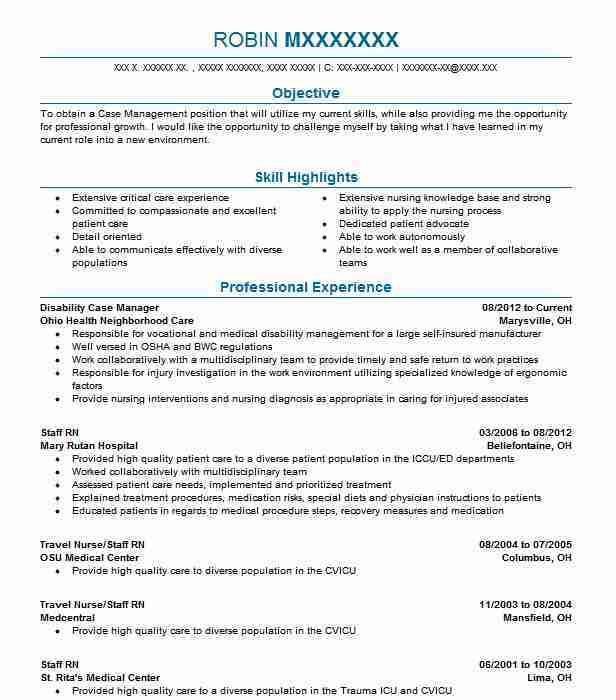 Diligent Disability Case Manager adeptly assisting disabled patients with efforts to receive needed care. 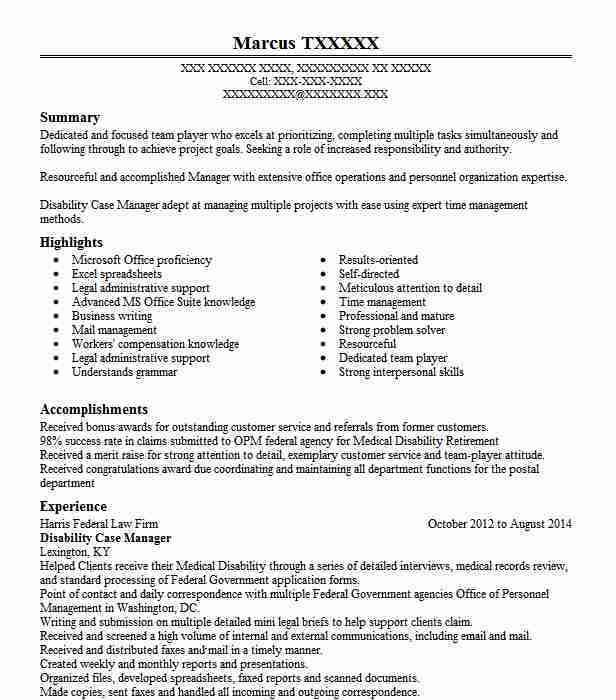 Especially skilled at working within state and federal disability laws. Specialize in connecting patients with reliable external resources. ¥ Prepared case reports for office manager approval. ¥ Worked with claimants to resolve disability coverage issues. ¥ Prepared disability claims reports at upper management’s request. ¥ Implemented and updated confidentiality procedures. ¥ Ensured that claimants had the right accommodations when returning from paid leave. ¥ Maintained updated listing of available external sources for claimants. ¥ Ensured confidentiality of all medical records. ¥ Coordinated efforts with case managers. ¥ Participated in periodic seminars and educational programs for learning purposes. ¥ Monitored office workflow to ensure timely results. ¥ Communicated with physicians regarding claimant medical care. ¥ Ensured compliance with industry state and federal regulations. ¥ Prepared disability management reports. 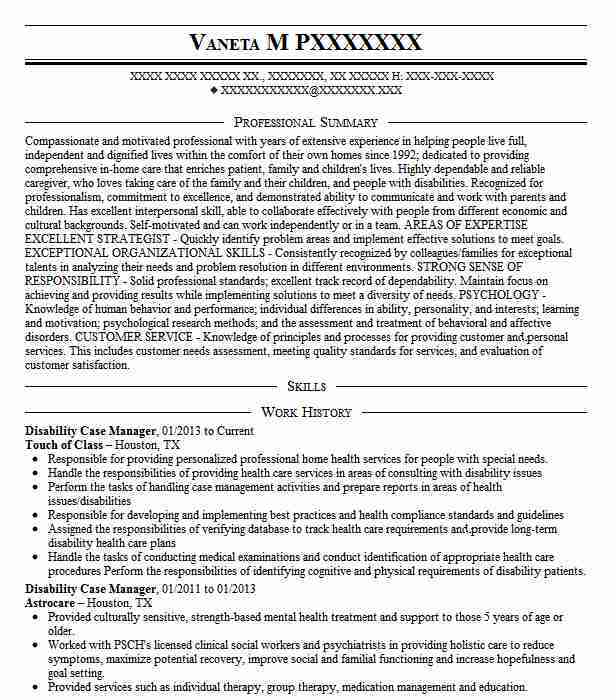 ¥ Assessed claimant care requirements. ¥ Evaluated each claim and prepared required paperwork for filing. ¥ Participated in and called weekly staff meetings. ¥ Connected claimants with available medical resources. ¥ Developed training materials and methods for new staff members. 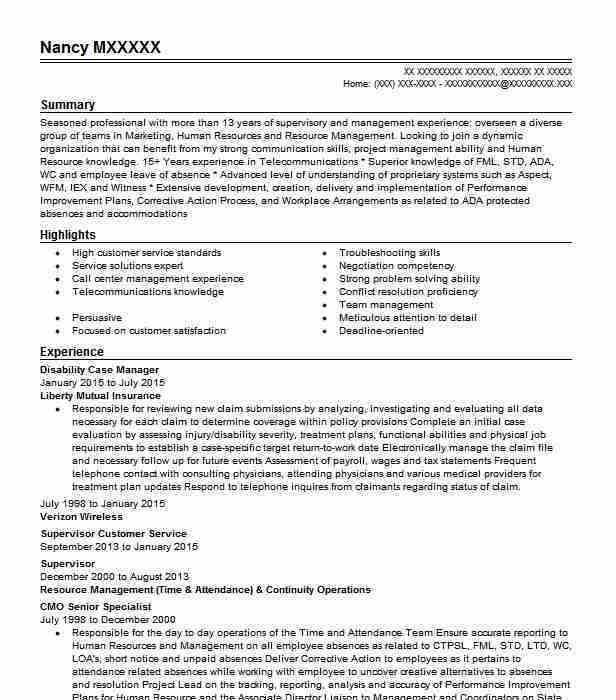 There are plenty of opportunities to land a Disability Case Manager job position, but it won’t just be handed to you. 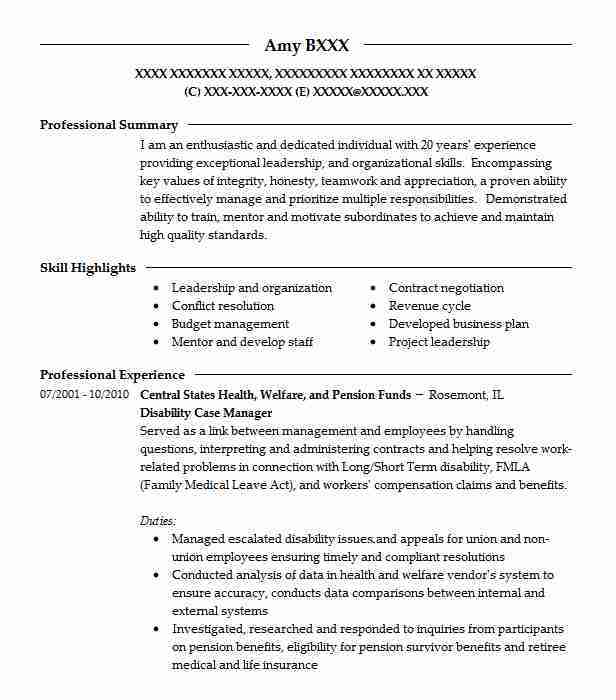 Crafting a Disability Case Manager resume that catches the attention of hiring managers is paramount to getting the job, and LiveCareer is here to help you stand out from the competition.